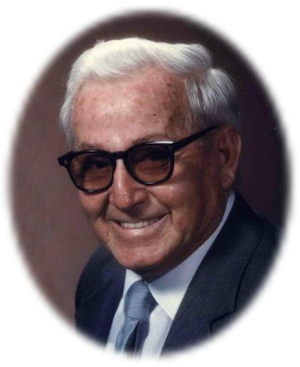 Obituary – Sams, David Walter « Perry High School Alumni Association, Inc.
David “Walter” Sams, 86, of Perry, Oklahoma was the son of Cloman Roscoe “Ross” and Alma “Blanch” (Dibble) Sams. He was born April 21, 1922 at Garber, Oklahoma and died Friday, March 13, 2009 at Green Valley Nursing Home in Perry. Walter graduated from Perry High School and attended Welding School in California. He served his country in the United States Air Force from January 4, 1943 until January 31, 1946. Walter achieved the rank of Sergeant before receiving his honorable discharge at Camp Chafee, Arkansas. He and Jo Ellen McAfee were married February 1, 1947 at the United Methodist Church in Perry. Walter worked as a welder at The Charles Machine Works in Perry before retiring. He was a member of the Lucien United Methodist Church, served as a Cub Scout and Boy Scout Leader and was a community volunteer. Funeral services will be at 2:00 p.m. Monday, March 16, 2009 at the Lucien United Methodist Church. Interment will be in the McGuire Cemetery at Lucien. Services are under the direction of Brown-Dugger Funeral Home. Memorials may be made to the Lucien United Methodist Church in care of Brown-Dugger Funeral Home, 1010 N. 7th Street, Perry, Oklahoma 73077. In addition to his wife, Jo Ellen, Walter is survived by two sons, Kenton L. Sams and his wife, Nora, of Edmond, Oklahoma and Jeffrey L. Sams and companion, Claudia Angevine, of Stillwater, Oklahoma; seven grandchildren, Codie Bussard and her husband, Dennis, Marcus Sams, Lucas Sams, Jacob Sams, Zachary Angevine, Rachel Angevine and Jessica Cole and her husband, Josh; and two great-grandchildren, Madison Lee and Michael Anne Bussard. Walter was preceded in death by his parents, three children, five brothers and two sisters.